When it comes to the market for luxury goods, “China is the rising star,” according to Claudia D’Arpizio, a Milan-based partner with Bain & Co., the consultancy. Luxury sales in China currently represent 10% of the global market. CLSA, a leading Asian investment bank, estimates that by 2020, China will be the largest domestic market for luxury goods in the world and will account for 44% of global demand. Consumption by Chinese consumers abroad has helped fuel this growth in more mature markets in Europe. CLSA and other firms estimate that currently more than half of Chinese luxury spending occurs overseas. 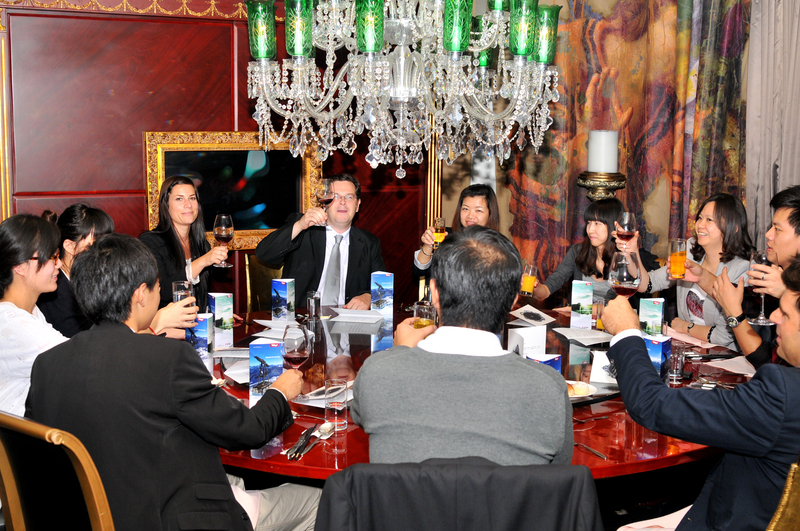 Some Chinese tour groups travel to France and Italy for the sole purpose of luxury shopping. “After decades of deprivation and conformism, Chinese consumers regard expensive consumer goods as trophies of success,” reported The Economist magazine. “In public, they show off. In private, they pinch pennies.” The demand for luxury goods has increased for a number of reasons which include a rapidly expanding disposable income, the increasing sophistication of Chinese consumers, and rapid urbanisation along with growing wealth in second- and third-tier cities. Still, the typical Chinese luxury consumer differs greatly from their counterparts in more mature luxury markets. Luxury items in China are generally purchased as status symbols and not necessarily because of taste, sophistication or service. CLSA estimated that in 2010, 16% to 17% of Chinese consumers bought luxury goods as gifts, with handbags, clothing, watches and jewellery being the most popular. Within the accessories segment, 37% of purchases were made for gifts, a far greater proportion than in other markets, with only the newest and most expensive products being acceptable. According to a recent article in the Hurun Report (a Chinese publication similar to Forbes), the average Chinese millionaires are 15 years younger than their counterparts in other parts of the world, and their number has been rapidly increasing to nearly one million in 2010. Finally, China’s luxury goods market was previously dominated by men, due to the importance of the gift-giving culture in business. As more women have entered the workforce, the proportion of luxury goods they purchase has risen to more than half the market total. Despite the increase in Chinese luxury goods consumption, luxury brand boutiques in China attract much less traffic than managers would like. Compared to the crowded Apple store next door, Louis Vuitton’s (LV) flagship in Shanghai is empty. More and more, Chinese luxury consumers are choosing to do their luxury shopping abroad. In recent studies, Bain found that more than 50% of luxury goods purchased by Chinese consumers in 2010 were made overseas. A study by PATA/Nielsen found the average Chinese tourist in Europe purchases US$1,359 of goods per trip – more than any other nationality. This is especially striking considering that most economists believe the renminbi is significantly undervalued. According to Xiao Qianhui, general manager of the Shanghai-based Spring International Travel Agency, most Chinese tourists consider shopping for luxury goods the main purpose of a trip to France. “Sometimes one Chinese tourist will even buy up to 20 Louis Vuitton bags at one shop,” he said. A recent survey commissioned by travel service company Global Blue found that many Chinese tourists complained about not being able to spend everything they had planned to when they were abroad. The main reasons Chinese consumers cite for shopping abroad are lower prices due to China’s high luxury taxes, better selection and greater “show-off” value. China’s import tax for luxury items ranges from 20% for luxury bags to 50% for cosmetics, which, when combined with additional local taxes such as the 17% value-added tax, leads to a significant premium on these goods. Accordingly, the prices of LV products sold in Shanghai are about 35% higher than those sold in Paris. The Chinese government is considering reducing luxury tariffs on the mainland to spur domestic consumption, seen as necessary to reduce China’s dependence on exports. In the meantime, China has sought to address this price differential by more strictly enforcing existing legislation that imposes retroactive taxes on luxury purchases made outside China. However, the country still loses billions in U.S. dollars annually on uncollected customs duties. Chinese consumers also prefer to shop outside China due to a perception of greater brand availability and better product selection. Interviews with shoppers at Beijing’s China World Mall, which houses popular luxury brands such as Louis Vuitton, Hermes and Gucci, showed that many female shoppers prefer to shop abroad because they believe the same store abroad will carry, not only a broader range of products, but also newer products. Many Chinese also believe that the luxury shopping experience is better abroad due to superior customer service and a greater selection of brands, including many not yet available in China, such as Alexander Wang and Christian Louboutin. However, LV stated that it offers the same product selection regardless of location. In interviews, an LV executive noted that products offered in China are the same, and only the quantities stocked are adjusted for the Chinese market. Despite the uniform product offerings, Chinese consumers still believe the selections in Chinese stores are inferior to those of stores abroad. Finally, travelling has become part of the luxury lifestyle in China and is considered a status symbol: there is greater prestige in being able to say you purchased your bag at the place of origin in Paris rather than at a branch in Tianjin. The Chinese National Tourism Administration noted that in 2010, more than 57 million Chinese travelled abroad and spent US$48 billion at overseas destinations, a figure that is expected to grow 17% annually over the next decade. Key forces behind this growth include increasingly convenient transnational payment methods and a stronger Chinese currency, which have made outbound tourism and associated overseas purchasing easier and cheaper. In particular, with the resources to travel overseas, many newly rich Chinese are eager to show off their wealth through high-value consumption. Louis Vuitton, in particular, is a favourite shopping destination for Chinese abroad. In fact, Chinese consumers have become LV’s largest consumer group worldwide. While this influx of demand has been a welcome growth stimulus for LV Europe, it has also presented its own unique challenges. At LV’s more well-known locations, such as those at Galeries Lafayette and Avenue des Champs-Elysées in Paris, it is not uncommon to find queues of more than 20 tourists from China waiting to purchase merchandise. This number swells dramatically with changing exchange rates, which, when combined with Chinese consumers’ different shopping habits, have led to significant challenges for LV Europe in managing inventory. In the summer of 2010, when the renminbi was at its strongest against the euro, LV France burned through three months of inventory in just one month. As a result, through the end of November, LV was forced to limit to two the number of leather goods customers could purchase daily so that the store could save stock for the Christmas season. Several key Paris locations, including LV’s flagship, began closing an hour early to slow sales. In addition to their numbers, the shopping habits of this large new consumer group differ greatly from those of LV’s traditional customers. More than 95% of Chinese tourists arrive on tour buses, leading to a quick spike in customer volume and posing a challenge for staff charged with providing premium service to each individual shopper. Also, while LV has traditionally posted its strongest sales during the fourth-quarter Christmas shopping season, the increase in Chinese consumers shopping abroad has caused sales to shift heavily toward the weeks leading up to the Chinese new year in late January or early February, resulting in a massive spike in sales in the first quarter. 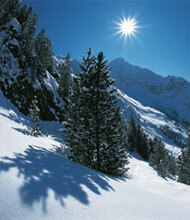 This has created challenges to LV as it tries to manage the supply-chain implications of a shift in seasonality. Blistering Chinese demand, combined with factors such as purchasing limits and the high luxury tax at home, has also led to the growth of a large grey market for LV products. Managers at LV’s Galeries Lafayette location were recently dismayed to learn that the two young Chinese women who held the top two spots on their VIP list, each spending more than €500,000 (US$700,000) per year, were selling them at a profit on Taobao.com, China’s version of eBay. Quite naturally, the droves of Chinese shoppers who purchase LV products overseas are of concern to LV China. LV China wants China’s new luxury consumers to shop at home, not only to increase domestic revenues, but also because the company feels it can better control its “touch” in the home market: having more Chinese staff with a better understanding of how best to serve Chinese shoppers makes LV better equipped to shape the customer experience it wants its Chinese customers to have. In the meantime, LV has moved quickly to adapt to, and better serve, this growing customer segment. At its Paris locations, Chinese shoppers can find numerous Chinese-speaking staff, all of whom have been trained to better meet Chinese needs and better handle the spikes of tour-bus traffic. According to July Azoulay, marketing manager of LV, the LV flagship located on the Champs-Elysées hired multilingual (Chinese and Russian speaking) staff to meet and greet its clients. At home, LV China has developed innovative ways to strengthen its relationship with this high-priority customer group. In Shanghai, three stores exemplify LV’s customer segmentation and targeting strategy: the LV flagship on bustling Huaihai Road attracts young, aspiring buyers and prominently displays lower-priced “accessible luxury” items. Across the river in Pudong, LV’s location in the main business and financial district has a “more masculine décor,” as described by some LV employees, and caters more directly to businessmen shopping for gifts. In Plaza 66, Shanghai’s premier luxury shopping mall, LV is building its largest store worldwide, a Maison store, focused on educating shoppers. It will feature the first LV atelier [workshop] outside France, providing an ultra-premium shopping experience where craftsmen from Europe will demonstrate the traditional methods used to create LV trunks, watches and bags. In 2011, in addition to experiencing LV in stores, people in Beijing queued for hours to learn about the history and evolution of the brand at LV’s Louis Vuitton Voyages exhibit at the National Museum of China. Other initiatives LV has taken to strengthen its relationship with Chinese consumers at home include investing heavily in staff training to provide customers with a premium shopping experience and demonstrating its commitment to its Chinese customers through a new advertising campaign featuring the Taiwanese-Canadian model Godfrey Gao – the first time LV has used an Asian male to showcase its products. Going forward, LV and other similar luxury retailers need to continue to focus on their ability to connect with customers in China. LV’s segmentation strategy in its brick-and-mortar stores in cities such as Beijing and Shanghai is a good start. For those customers already shopping abroad, LV would benefit from sharing customer data across regions so that a VIP shopper in Europe is recognised when he or she enters a local LV store in China. LV can further strengthen its ability to connect with young Chinese shoppers via its online marketing efforts. Just as luxury brands in China generally have chosen not to tailor their products or store designs drastically to the local market so as to preserve the perceived authenticity of the brand, they generally have not tailored their online presence to better suit this new media market. However, the role of the Internet is far more important in the young Chinese consumer’s shopping process than it is in other markets. A study by Bain found that the number of Chinese consumers who rely on the Internet, especially social media such as bbs forums and micro-blogging, as a means of researching luxury goods and brands has increased by 30% since 2006. In addition to learning LV’s history and brand message, young Chinese shoppers want to know how to use and wear the latest styles and to discuss trends with their peers. Incorporating the educational and interactive components of LV’s Maison stores into its websites, e.g. through a well-designed style guide, can help LV connect with and influence customers earlier in the purchasing process. Simple directions as to where these items can be purchased locally will also help mitigate the misperceptions of inferior selection and older products at home. The number of Chinese travelling and shopping abroad will only continue to grow, and LV’s global operations should continue to adapt accordingly. With the increasingly competitive luxury market in China, LV China will need to work harder to maintain and grow market share by winning the loyalty of new waves of young Chinese luxury consumers. 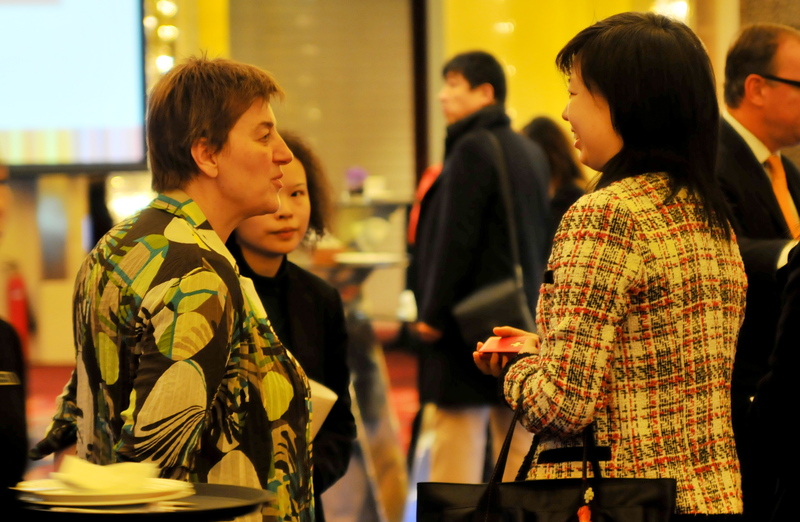 On October 25, Visitbrussels, in collaboration with Wallonie-Bruxelles Tourism, Leon Restaurant, Magritte Museum and Brussels Centre for Fashion and Design, held a breakfast meeting in Beijing to promote Brussels as a business, conference, meeting and tourist destination. Held at Beijing International Trade Hotel, 30 guests from all Beijing’s major travel agencies and 7 representatives from the media were welcomed to the meeting, which was themed “Belgium: one country, three regions”, by Belgian ministers Benoit Cerexhe and Van Raes. In their speeches, the two ministers outlined Belgium and its capital city, Brussels, and highlighted their hope that Brussels would become the next hot destination for Chinese tourists. Astronaut assisted Visitbrussels and its partners with the organisation of the event. They invited targeted guests, produced promotional materials such as translated brochures, created business cards for the hosts and ensured the entire event was on-brand.